"This weeks desert insanity! 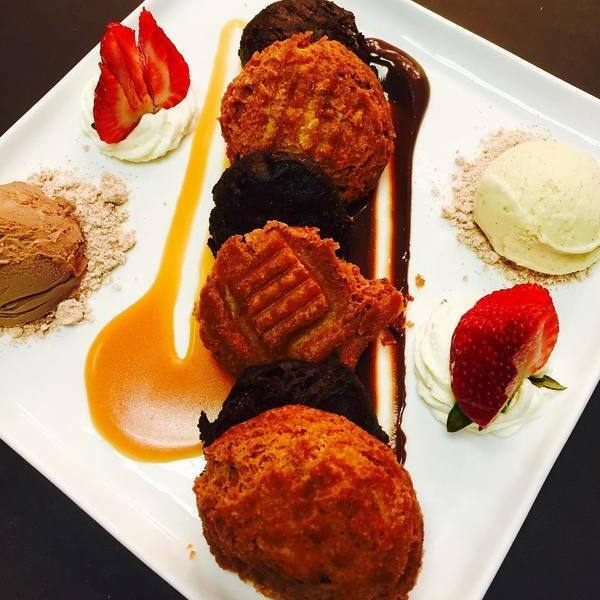 Fried Oreos with vanilla and chocolate gelato, chocolate sauce, caramel sauce, and whipped cream! #pittsburgh"
Leg of duck, mascarpone polenta, and spiced cherries. Nothing says I love you like chocolate. All aboard the indulgence train. Cream, sugar, and so much more.